Smartphones will replace customers’ credit cards as a myriad of new mobile payment options emerge. Walking into any store, a customer will be able to create a bar code dynamically on their phone to effect payment or simply use the near-field communications or NFC built-into their device to make payment. We can also expect that other services such as PayPal, or the soon to be launched CaraPay, will make it easier for customers to make direct money transfers from their smartphone. Retailers, operators and payment processors together will start gathering much more information about consumers. They will know, for example, what kinds of things they like to purchase, where they like to purchase them and how often they do so. This information will provide a rich tapestry of information about consumers that can be used to bring relevant and timely messages to them. Consumers will need to opt-in for such a service. You can be sure that many will because the benefits of receiving personalised offers will be worth the privacy invasion. Location-based targeted messaging will become more acceptable and commonplace. For example, I typically buy my sandwich at lunchtime in the O’Briens Sandwich Bar around the corner from the office. On a Saturday I am in a different part of town and happen to be passing near an O’Briens at lunchtime. The local clever O’Briens manager should know this and sends me a message offering me 50% off any sandwich of my choice. Online and offline shopping will integrate seamlessly as customers now have ready access to online comparison tools when they are physically shopping. By simply taking a photo of a product or scanning the product bar-code, shoppers will be able to instantly see the range of price options available to them from countless numbers of online retailers. Traditional retailers will have to work harder to offer differentiated product and service propositions to reduce the tendency to research offline and purchase online. Consumers will purchase more products and services directly from their mobile phones. I have already begun to purchase cinema tickets and books directly from my smartphone. Today you can practically purchase any product directly from your mobile phone as an increasing number of traditional retailers and service providers go mobile. As the design and user experience of mobile shopping interfaces improves, we will see far more consumers go mobile too. I am constantly downloading and paying for apps, games and music on my iPhone. Much of this is entertainment but the smartphone is effectively a miniature personal computer that is becoming indispensable for both personal and business purposes. 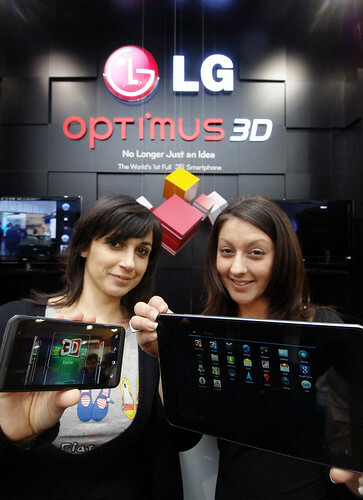 Smartphones together with tablets which will all drive greater mobile computing. Furthermore, the proliferation of cloud-based services will see more consumers purchasing SAAS (software as a service) for their mobile devices. Forget dumb loyalty cards. Smart mobile apps can access customer account data in real-time. With the power of a two-way data stream at the point of purchase, imagine how retailers could start to really cement customer relationships. Imagine walking into your favourite coffee shop to have your preferred blend already prepared and waiting for you at the counter, because with one click you told them you were on your way. Or you walk into their branch in another city and they greet you by name thanks to the NFC integrated with their loyalty app. Then simply wave your smartphone in front of a scanner and your loyalty points are updated and payment is processed automatically. Now that is a service proposition likely to WOW customers. Many of these impacts are already being experienced by customers around the globe. It will not be long before we start to experience more of them here too. If you are interested in participating in a discussion about mobile commerce, come along to our next e-Commerce Innovation Forum which will be held sometime in early March. Join the LinkedIn group here to be kept in the loop.